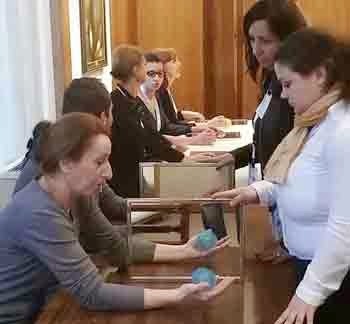 Mirror Therapy Adria member, Šejla Imamovic, recently conducted a Mirror Therapy Training Workshop as part of the official First Physiotherapy Congress of the Republic of Macedonia in the capitol city of Skopje. All twenty-five attendant physiotherapists participated interactively during this workshop, showing great enthusiasm for using this technique with both amputees suffering phantom limb pain and clients suffering hemiparesis. Though the Republic of Macedonia suffered a only a brief time of conflict in the 90's, numerous land minefields were laid down, which caused some Macedonians to lose limbs. 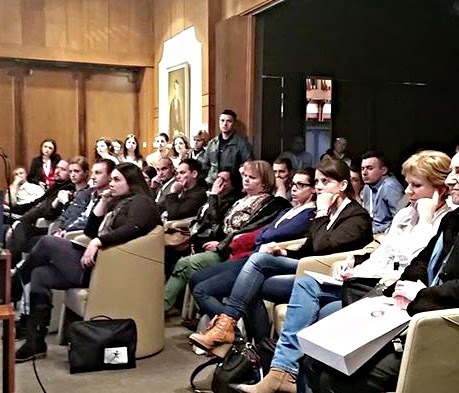 According to its director, Jasmin Avdovic, Mirror Therapy Adria plans to certify physiotherapists from the Republic of Macedonia starting this this year, so that mirror therapy as initiated by End The Pain Project can continue to be spread throughout the former Yugoslavia.